Home Garden design	Plastic in the Garden: Good or Bad? It really is a conundrum. I would certainly like to go without using plastic, yet sometimes there really isn’t a better option. They’re great… except Florida’s “soil” won’t hold together. You have to get some clay from somewhere else to make them stick. And the time involved… well… might as well just get some plastic trays. …yet eventually those pots would wear out and be thrown away. I don’t like the large amount of plastic ending up in the environment. It’s everywhere. Even recycling may not make sense as I’ve read it takes more energy to recycle plastic than it does to just throw it in a landfill. Yet try building a greenhouse without plastic! If you’re lucky, you’ll be able to scavenge old windows, but still – the construction is much more time-consuming than just throwing up a plastic sheet. And eventually, that plastic wears out and is discarded. It’s tempting to burn plastic to get rid of it, but that releases some nasty toxins into the air. “Current research indicates that backyard-burning of waste is far more harmful to our health than previously thought. It can increase the risk of heart disease, aggravate respiratory ailments such as asthma and emphysema, and cause rashes, nausea, or headaches, damages in the nervous system, kidney or liver, in the reproductive and development system. Yeah, that’s no fun. 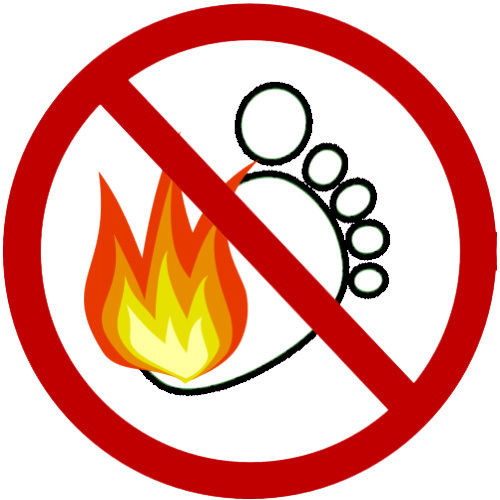 You can also burn yourself if you run through the ashes barefoot. My little brother did that when he was a kid, stepping on a piece of molten plastic and burning his heel badly. Takeaway: don’t run through molten plastic and ashes barefoot. That brother is a fire-fighter now. No kidding. “Burning plastic in the traditional manner creates extremely polluting byproducts, as evidenced by the black smoke produced by the cup. But this didn’t thwart Levendis, who noted that plastic contains the same amount of energy per pound as premium fuel. “We wanted to tackle the problem by preprocessing the plastics,” said Chuanwei Zhuo, a doctoral candidate in Levendis’ lab. Toward that end, the team developed a combustion system that adds a simple step to the burning process that allows for turning plastic into a fuel that burns just as cleanly as natural gas. So is Plastic in the Garden Good or Evil? Realistically, it’s probably evil – yet it’s an evil without good alternatives right now, at least that I can find. I’ll keep thinking about plastic in the garden. I’m still on the fence. I don’t like the environmental impact but I also don’t know what else to use. The more you recycle plastic pots, even if they need throwing out eventually, the less you demand new plastics to be made. So even though it does end up in landfill, it’s reducing the need for more production. At least, in theory. Back when we lived in town, we would visit the Sunday markets on a regular basis, for veg and plants. 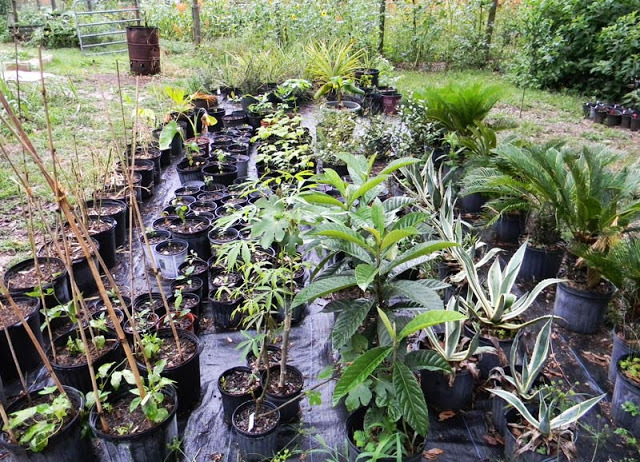 There was a stall run by an elderly couple, who kept their plants in plastic horticultural pots (recycled) but also had some in cut off milk-bottles, yoghurt tubs, etc. I guess they looked less professional, but they had an amazing following. I would always visit them first – because they had the best prices, and I wanted to support their recycling. Which most of their customers wanted to do also. So I guess the point is, make do with what’s available, before buying new plastic. The only pots I buy now, are the ones my plants come in, and they have lasted me ten years (in some cases). I propagate my plants in them. In fact, I have an oversupply of pots. Other ideas for alternatives to plastic pots: recycled cardboard boxes like a plastic nursery tray. Fill it with soil and plant your seeds or take cuttings. So you’re not using individual pots, only to have to plant on, once they outgrow it. I’ve heard other people use their empty toilet rolls as starts. I’ve personally used them for sunflowers, and when they were ready to get planted, the toilet roll went in the ground. So no disturbing of roots. Here’s a wacky idea though, and perhaps a project the kids can try. What about weaving small pots, out of dried, fibrous material? I’m sure there are a lot of thick vines in the jungle, that could be used for such a purpose. What about yam vines? Good old yams, come to the rescue again! Excellent idea Rachel. I didn’t think of that option with fabric. We do it with things as fidgety as quilts. Although you rightly point out, they generally don’t have to live outside. Life expectancy may be short. I’ve seen chicken feed bags turned into shopping bags, via sewing – I bet grow bags would be possible too. I like your creative thinking with the sewing machine! I have purchased some cloth root pouches that allegedly last for 5 years, you just wash them and reuse. I just got them about 6 months ago, and they are still here, so we are off to a good start. The cost might be a little higher per bag… okay a lot more, but I would love to send ya’ll some. Anything I can do to repay for all the advice and entertainment I have received, not to mention payback for the stupid comments I leave. If there is a way to send them to a family member or friend or family friend….member, to then forward to you, would make my day. Thank you Mr. And Mrs. the Good.